Today I turned a cartwheel when I got to the office. You probably don’t hear that very often. It’s not everyday that someone, outside of a gymnastics coach, goes to work and turns a cartwheel. It started off as a watercooler discussion among a few of us about a recent Dove Campaign for Real Beauty, which stated that many women have an “I hate my body” moment at least once in any given week. “Not me,” I said. “I’m not perfect, but I am grateful to my body for allowing me to run, to dance, and even to turn cartwheels.” The group I was with seemed incredulous at the fact that I could turn cartwheels, as the idea of it doesn’t fit in with my buttoned-down image at work, and after about 90 seconds of goading, I suddenly found myself with my shoes and suit jacket off, turning a full 360 cartwheel in a small 6’x6′ space. Positive body image aside, the simple act of turning a cartwheel filled me with a happiness that lasted the whole day. I just couldn’t stop smiling at the sheer delight of the spontaneity and physicality of this small moment of joy. The spillover effect of this joy was another surprise. I was a little more productive at work, crossing items off my to-do list and wrapping up projects like I was in fast-motion. It was as if the burst of happiness brought on by the cartwheel gave me a double dose of energy that carried me throughout the day. But this shouldn’t have surprised me. It doesn’t take much to make me happy. I have a hat that I wear in the winter. 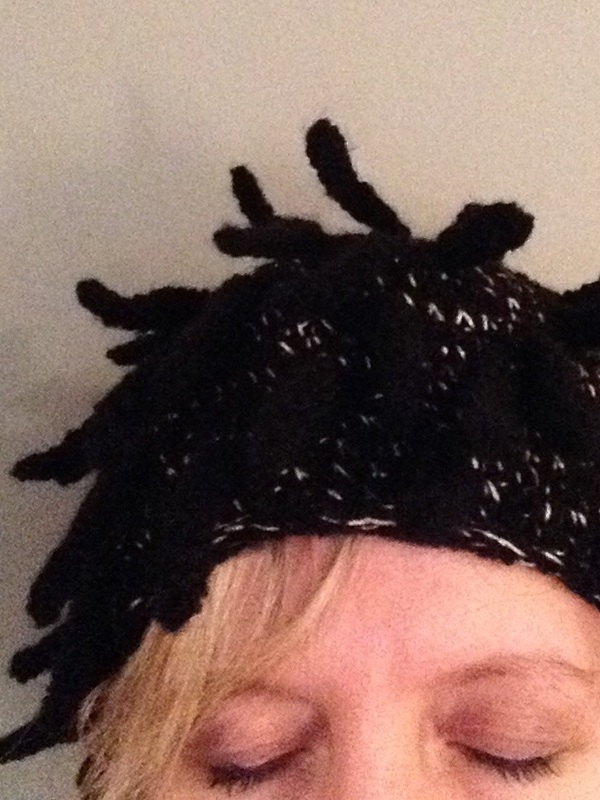 It is a funny-looking hat with spiky black nubs, and I look comical in it. But I love that hat. Every time I wear it, I get a smile on my face. I am a little friendlier to strangers, chatting with them in the checkout lines. I feel a little more lighthearted. It’s a ridiculous-looking hat but I feel absolutely marvelous in it. It suits my personality and it reminds me not to take myself — or life — too seriously. The hat makes me happy. Or, more accurately, I feel happy when I’m wearing the hat. It doesn’t take a lot to bring on happiness. Happiness is not a constant state that one achieves only after reaching a major milestone — marrying that guy, losing that weight, landing that job — but, rather, it is a fluid state made up of many and small moments of joy. Psychologist Ed Diener has shown that the frequency of moments of joy is a better predictor of happiness than the intensity of your positive experiences. In this case, it’s quantity rather than quality that matters: somebody who has a dozen moments of joy each day is likely to be happier than somebody who has a single truly amazing thing happen. Happiness is the sum of a hundred small things. So how can you make yourself happier? Increase the frequency of the moments of joy in your day. Turn cartwheels, wear a funny hat, or give your sweetie a big hug, then repeat often throughout the day. Find new ways to bring small moments of joy in your day. Just like you wouldn’t want to eat the same foods cooked exactly the same way every day, novelty in experiences can increase your happiness the way a new food can wake up your palate. Share your moments of joy with others. People with strong social bonds are happier overall, and sharing your moments of joy can increase everyone’s happiness, just like a rising tide lifts all boats. So rather than wait until the perfect moment to be happy, focus on the small moment and happiness will find you instead. Angela I loved reading your blog and the joy you must bring to others when you wear the hat. The visual of you turning a cartwheel brought a smile to my face. Thank you for making me smile today!